A Joint IVA (or Interlocking IVA) is what happens when two applicants choose to make an IVA application together. The couple will often have shared debts but sometimes it will just be the debt of one of the applicants. The other criteria to apply for a Joint IVA is that you must have a wife/husband/partner that you share joint debts with. To be exact, a Joint IVA is actually just two separate IVA applications made at the same time. The benefits of a doing it this way is that you will increase your chances of being accepted because the creditors will see that two of you will be more responsible for paying back your debt. When a couple is accepted for a Joint IVA they will have to remember that the two IVAs are dependent on each other – if one of the IVAs is to fail then it’s likely the other one will too. This is another advantage because a couple is more likely to stick to the plan because they have the support of their partner and there is much more on the line. 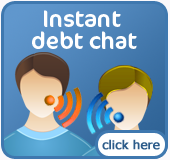 There is also more to lose in this case but it does allow you to pay back your debt in a relatively short period of time and to be debt free, once and for all. 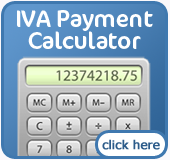 If you would like further information about Joint IVAs then contact us today.